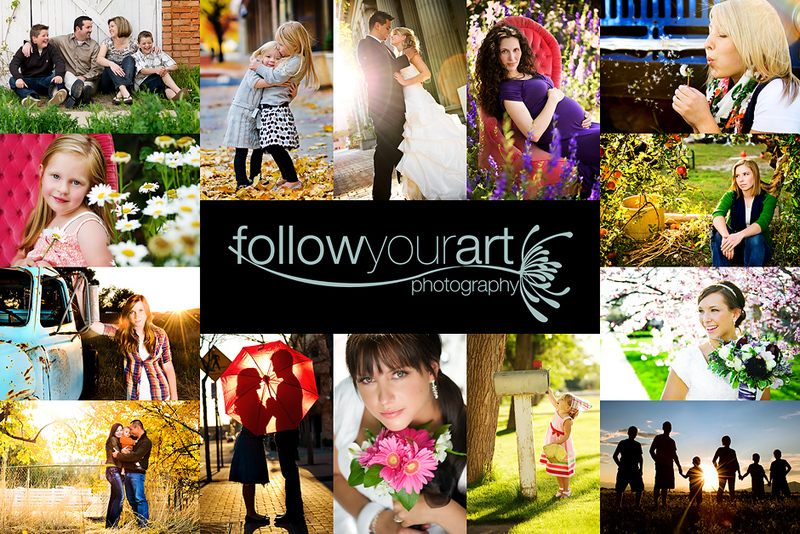 Follow Your Art Photography, Utah Baby, Child, Senior, Family Photography, photographer: Off to the workshop in the morning! Off to the workshop in the morning! Well it's finally come the Brianna Graham workshop starts tomorrow! I am excited and a little nervous, but mostly anxious to learn. I will answer all emails when I can get to them. Hope to have pictures to show you very soon!! I also just wanted to say a big THANKS to all of you who have commented on or follow my blog. I seriously love what I do and I love knowing that you all take time out of your lifes to check in on mine!! So thanks again!!!! SO Jealous!!!! Can't wait to see what you learned!